New Mexico Youth Wrestling builds champions on and off the mat through the sport of wrestling. Our volunteers and members are committed to see that our children are trained by dedicated coaches that foster an environment that emphasizes athletic excellence, physical and mental discipline, self- esteem, leadership and sportsmanship. This commitment is essential in order for each athlete to reach their full potential in sports and most importantly in life. Making Champions On & Off The Mat! The New Mexico Athletic Youth Wrestling Club believes in fostering our youths desire to be active, become leaders and achieve their athletic potential. Our organization is dedicated in making New Mexico an elite state for wrestling and works hard as a community to provide a safe, inclusive environment that supports wrestling of all levels. 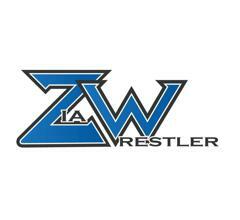 Contact us to learn more about the New Mexico Athletic Youth Wrestling Club based out of Albuquerque, New Mexico. New Mexico's #1 Source for Wrestling News! ©2019 NMWAY Wrestling / SportsEngine. All Rights Reserved.